Best Upi Apps: UPI Apps are going more and more popular day by day in India. You can easily make and receive payments with the help of UPI Apps. You can easily send money to anyone with the help of UPI apps. There are many UPI apps available on Google play store. But some of the apps have best features, which I am going to mention below. 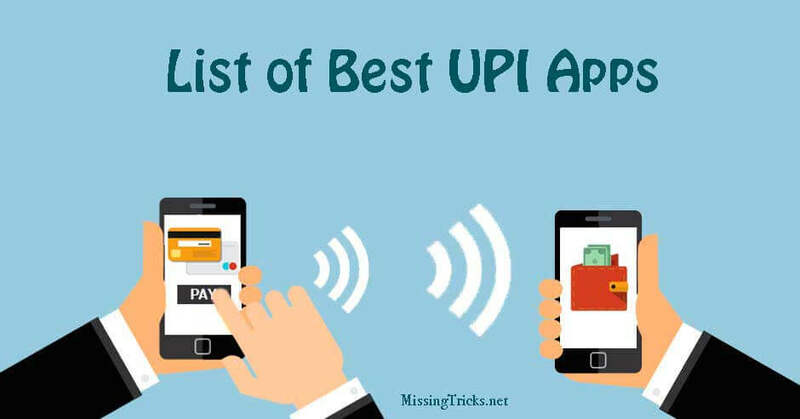 You can use these UPI Apps on your Android device and do Digital transactions. You may already know many ways to send/receive money like Paytm app, Freecharge app etc. But UPI is another easy way to transfer money here in India. 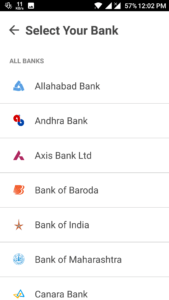 So if you are looking for Some best UPI apps for all banks which work perfectly on Android devices, you can simply check them from below. 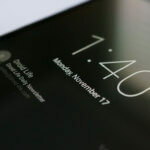 If you want to use UPI Apps on your Android device, then you need some things to setup and ready. Read some of the things now from below, which you may require for use UPI Apps on your Phone. Your Mobile Number should be registered with your Bank Account. Minimum 2-3 Rs Balance in your Sim card. Registered Sim card should be inserted in Same mobile in which you want to use UPI App (for verification only). Android Device and Working Internet connection. There are many UPI apps are available for Android devices. New UPI apps are coming on Google Play store day by day. 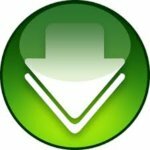 So If you are also looking for best UPI apps for Android, you are at right place. I have mentioned some of the apps below, which you can use for make UPI Transactions on your Device. So have a look at below mentioned apps for best UPI apps list to use in India. Bhim app is one of the best, easy to use UPI app which is available for Android smartphones. You can use this app for make/receive payments and do other UPI Tasks. Simply follow below easy steps for know more about how can you setup Bhim app for your on your Android. 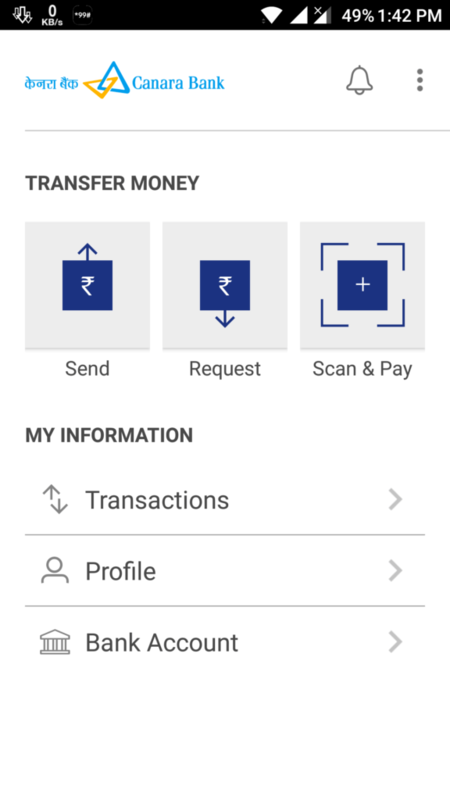 Bhim App can be used for send/receive money. This app is developed by National payment corporation of India. You can also send money directly to your Bank account and IFSC Code. Have a look at some of the cool features of Bhim app from below. 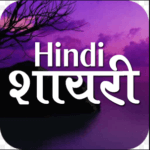 Supports Various language in India. Send/Receive Money, Also Scan & Pay Feature added. 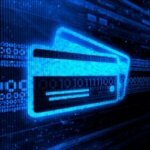 Create new Custom UPI Address. Generate Profile Qr Code or Generate Specific Amount QR Code. Send Money to UPI or Bank Account or Aadhar Pay. 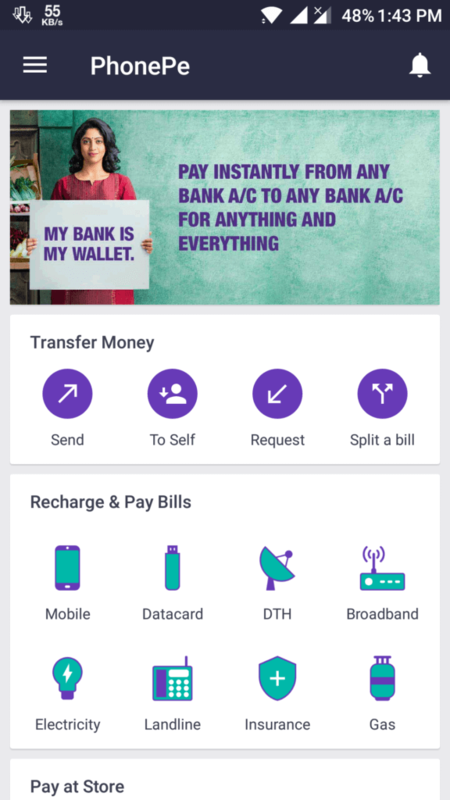 PhonePe is another UPI based app for send/receive Payments. This app is developed by Flipkart officially. This app also do UPI tasks, but have some extra features which I am going to mention below. If you don't prefer basic apps, and want more functionality in one app then you may use this app. This app have lots of features, in comparison to PhonePe app. 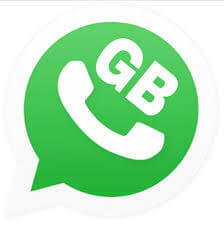 This app can do recharges of Mobile, Datacard, DTH, Broadband, Electricity, Landline, Insurance, Gas. You can Scan via QR Code image from your gallery and send payments. Have a look at some of the features of this app from below and Install this on your phone. Pay via Qr Code Image – Pick from Gallery. 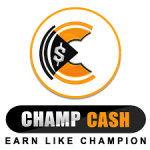 Send/Request Money from any contact anytime. This UPI app can work even without Internet connection too!! Yes, Without having working Internet connection this app can do payments to others. 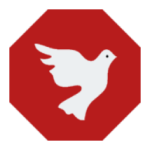 You might be thinking how this app works. This app works on USSD Code system. You can also use *99# and do UPI Transactions. But this app have set of USSD Codes, which will help you to check bank balance etc directly without remember USSD Codes. You must try this app at least once on your Phone if you use UPI. In some bad situations if you don't have Internet connection, this app will help you to do UPI Transactions. All Banks USSD Codes Included. Check bank balance, Send Money. 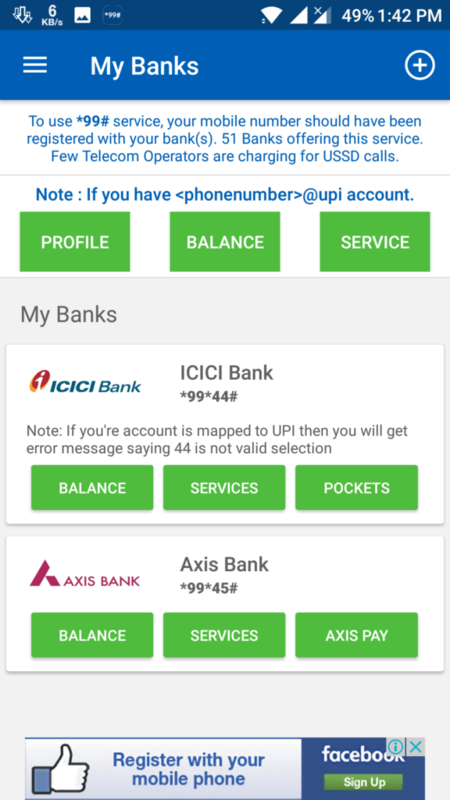 If you don't know about how can you Setup UPI apps and use it for send/receive payments. You can follow some of the steps now from below about how to setup UPI Apps for Android. These apps work pretty much same because all of the apps using API provided by Government. So Simply follow some of the easy steps from below to know more about how to setup UPI app on your Android for send/receive payments. Download UPI App of your Choice from Google Play Store which I have mentioned above. 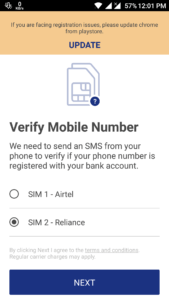 It will automatically verify your Mobile Number via SMS. It will show list of banks, which are currently Supported. Simply select your Bank & Click next. Enter your Debit/Credit Card Details in this app. Now you also have to create new UPI Password & Verify your Mobile number via OTP Code. This was the list of some of the best UPI Apps which you can use on your Android device. With these apps you can easily do Digital payment transactions. 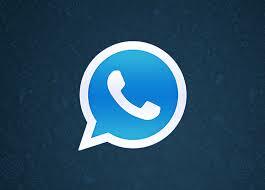 If you have any more questions or suggestions regarding these apps, then let me know by comment below. Thanks for visiting this blog and make this blog Awesome. Stay tuned at MissingTricks for more tips & Tricks like this.